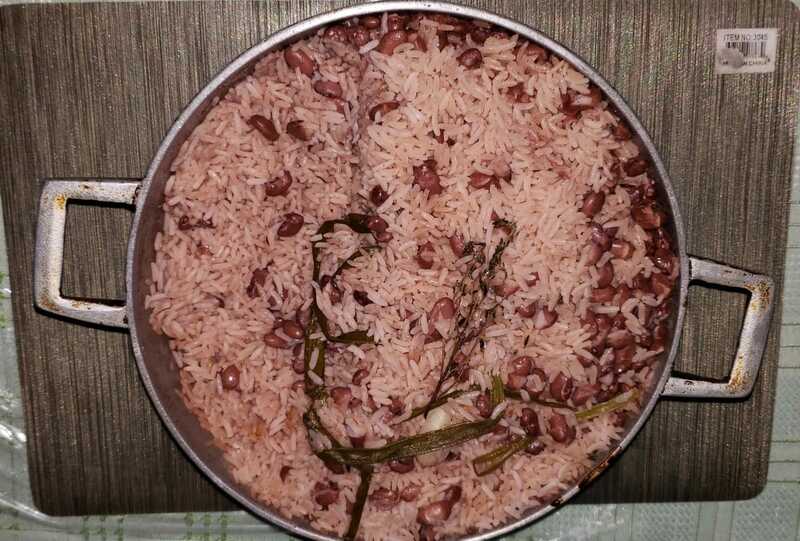 Traditional Jamaican Rice and Peas - The Secret Ingredients! 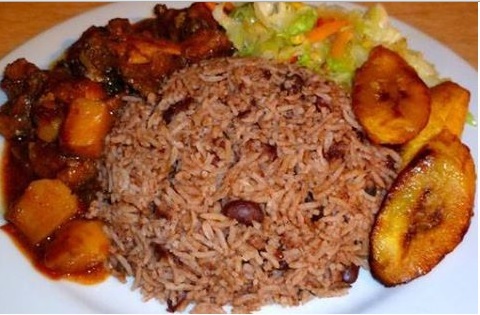 An all around food favourite for Jamaicans is, yes you guessed it right, rice and peas. This appetizing staple is prepared almost every day of the week here but come Sunday, you are extra sure it will be on the family table! The Jamaican rice & peas is just, as the name suggests, rice and peas cooked / prepared together. However, everyone puts their own personal twist on it. 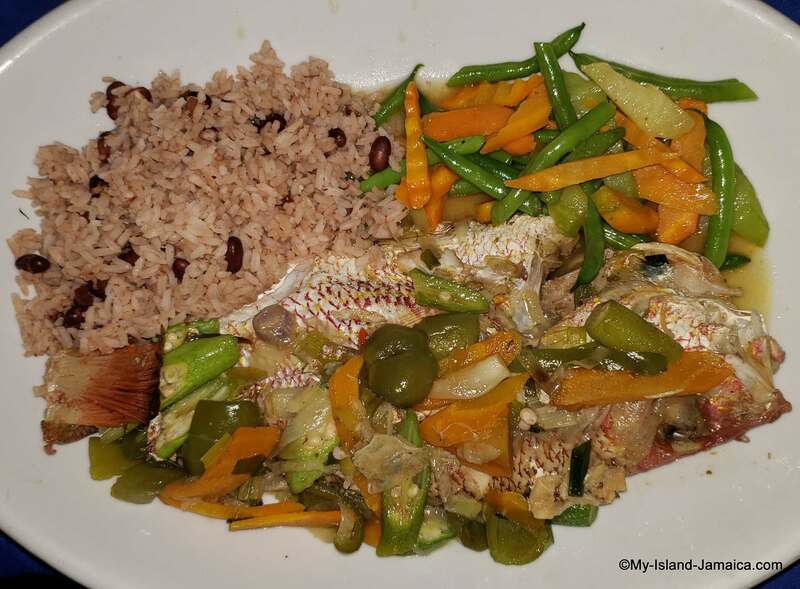 Persons prepare their rice and peas with a little difference in types of seasonings, other ingredients and the portions of the spices to “make it their own”. The heart (vital ingredient) of any Jamaican rice & peas though is coconut milk! Coconut milk is traditionally obtained by removing (husking) the coconut flesh from the shell, grating it and then squeezing the “milk” from it by adding a little water and squeezing by hand through a sieve or strainer. The peas are soaked overnight and then they are slow cooked until tender after which the seasonings are added. The basic seasonings are scallion, thyme, garlic, salt, and scotch bonnet pepper. The coconut milk is then added and the ingredients are left to slow cook until everything blends together in one distinct savory aroma of delectable taste. The rice is then added and left to simmer until the rice is cooked through. It is traditionally enjoyed with chicken or fish (as shown above) however, persons enjoy this with other meat kinds and vegetarians enjoy it with their choice of steamed vegetables. This enjoyable meal is also a lunch-time favourite for most working class. By the way, what's your favourite Jamaican recipe? Be sure to also take a look at what others have submitted. What do they eat for breakfast in Jamaica?